Colorful bee-eaters of the southern US. Common in Southeast to Southwest US in summer; winters in Central and South America. 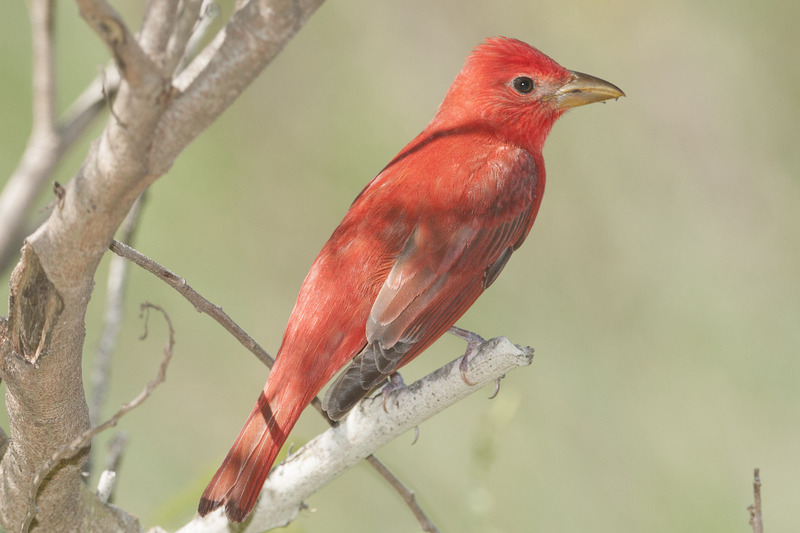 Medium-sized, stout-bodied songbird with long tail and thick bills; males solid red, females mustard, and young males a patchy mix. Prefers forest edges or riparian habitat; often high in canopy, where it sallies out to catch flying insects, especially bees and wasps; also eats fruit. Nests in trees, usually overhanging an open area. Lifespan up to 7 years. Population ~ 12 million and stable.